Dental industry lectures to stir your curiosity. Mark your calendars! We are proud to be an AGD approved program provider. Our quarterly lectures will offer two (2) CE credits. Richard L. Wynn, PhD is Professor of Pharmacology at the Dental School, University of Maryland, Baltimore. He earned the BS in Pharmacy, MS in Physiology and PhD in Pharmacology all from the University of Maryland. He practiced pharmacy for 10 years in the Baltimore area. He chaired the Department of Pharmacology from 1980 to 1995 and Biochemistry from 1990 to 1995 at the University of Maryland Dental School. Previously he chaired the Department of Oral Biology at the University of Kentucky Dental School in Lexington. His research laboratories have contributed to development of inhalant and intravenous anesthetics, and agents for control of chemotherapy-induced nausea. He has to his credit over 400 publications including original research articles, textbooks, book chapters, and monographs. 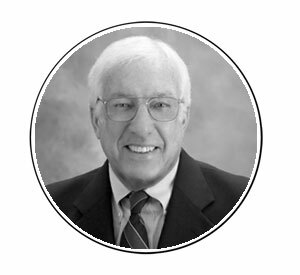 He has given continuing education seminars since 1975 to dental professionals in the US, Canada, Mexico and Europe. He is the lead author and chief editor of Drug Information Handbook for Dentistry, now in its 23rd edition, published by LexiComp, Inc. His past consulting has included the pharmaceutical industry, the Academy of General Dentistry, the American Dental Association and the Maryland State Board of Dental Examiners His chief interest is in teaching pharmacology to dental and dental hygiene students, and in keeping dental professionals informed of current and new drug information relative to dental practice. Lecture by Dr. Brandi Page, M.D. Lecture by Dr. Usa Bunnag, D.D.S. Lecture by: Distinguished Guest from the ADA, Kathleen O’Loughlin, D.M.D., M.P.H. Lecture by Dr. Scott Gritz, D.D.S. Lecture by Heather Hostetter Esq.